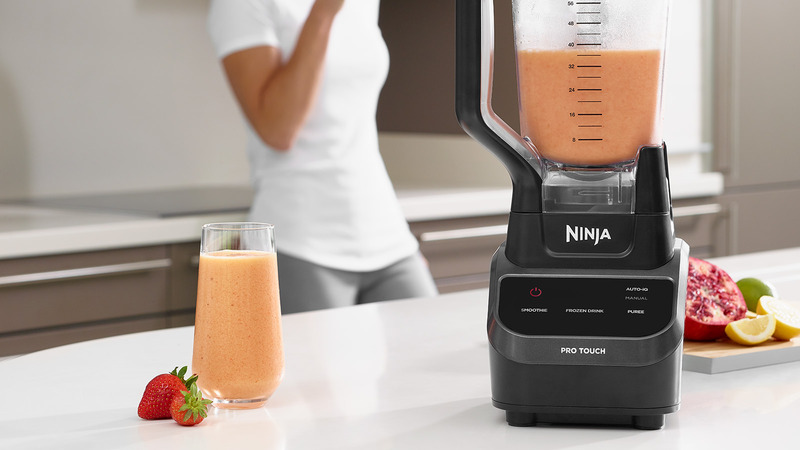 Featuring an intuitive LED touchscreen, the contemporary Ninja Multi-Serve Touchscreen Blender offers precise, controlled blending with professional results. Packed with cutting-edge blending technology, it’s easier than ever to follow your favourite recipes. Instantly impress friends and family with delicious desserts, frozen cocktails, healthy smoothies, soups and sauces, using the included inspirational recipe book. 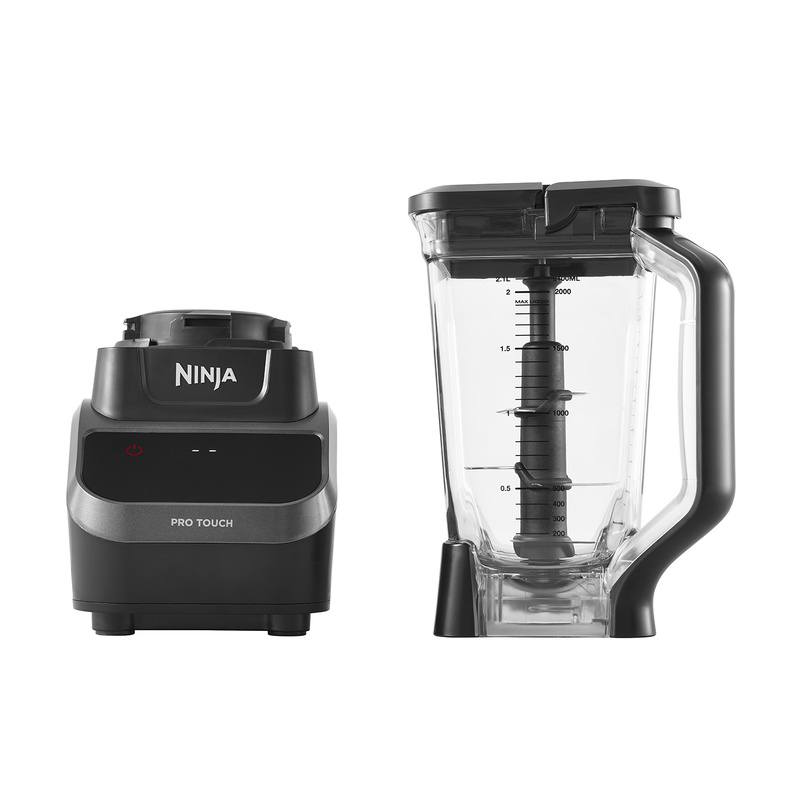 Ninja 1000W Multi-Serve Touchscreen Blender – CT610UK has been added to your basket! 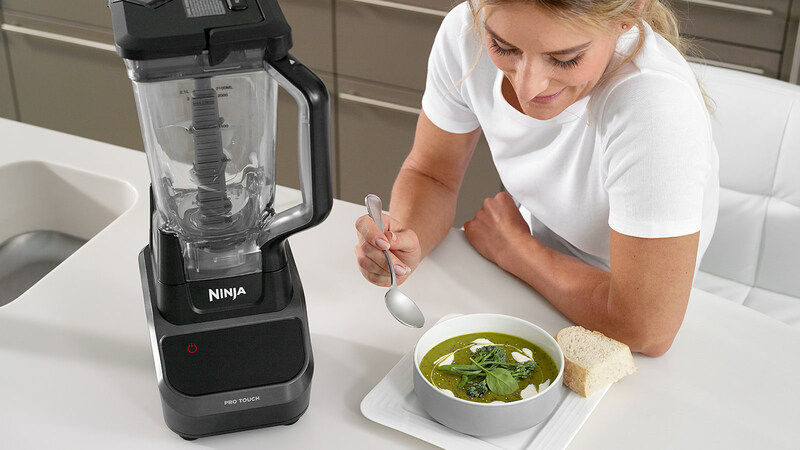 Ninja’s responsive LED touchscreen makes creating your favourite recipes easier than ever. Effortless soft-touch controls and a sleek LED display combine cutting-edge technology with contemporary style. Simply press one button and let Auto-iQ’s pre-set programmes do the work for you. Unique pulse, pause and blend patterns are tailored to deliver the results you want, whether you choose the Smoothie, Frozen Drink or Puree setting. 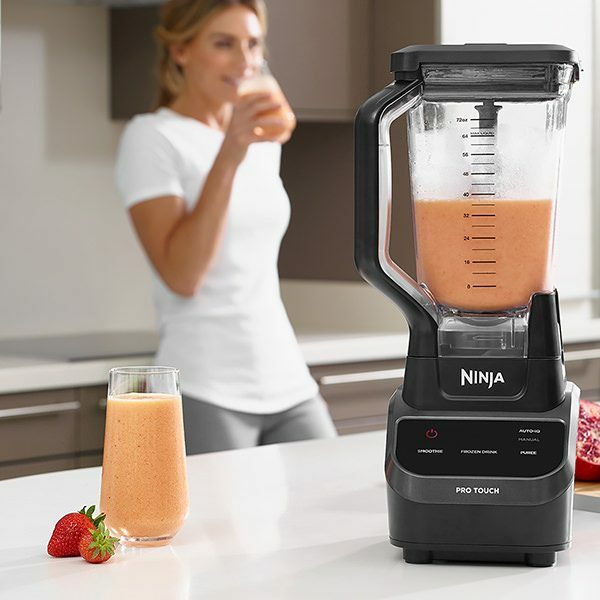 Packed with Ninja’s precision engineered blending technology, this versatile jug blender is powered by an impressive 1000-watt motor for brilliant performance. Quickly and consistently blend drinks, desserts, sauces and smoothie recipes to your personal taste, without the guesswork. Stacked stainless-steel blades and adjustable speed settings are engineered to achieve the perfect consistency. 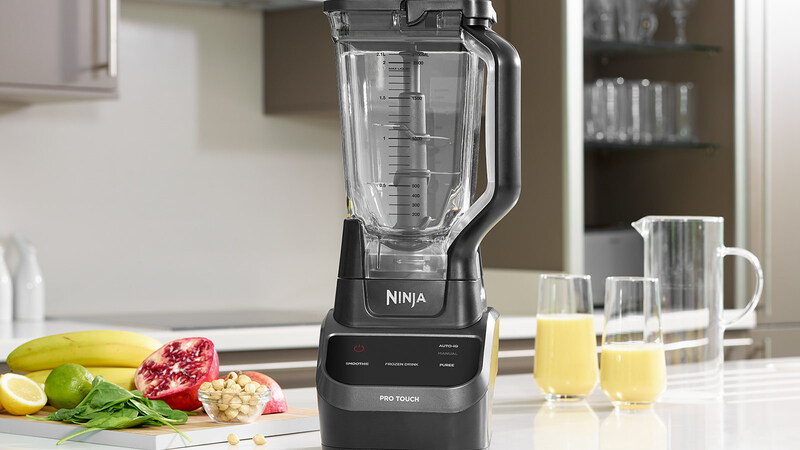 Ninja’s LED touchscreen display features intuitive soft-touch controls, making this impressive performance blender incredibly easy to use. 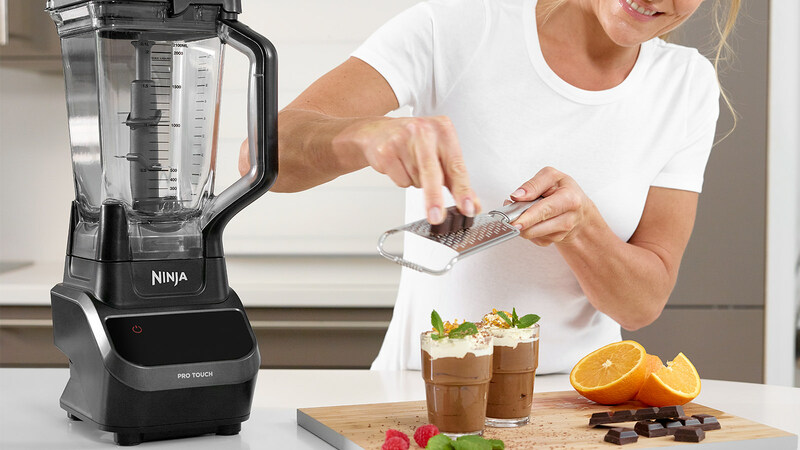 Blending with power and precision, it’s never been easier to create delicious sauces, soups, sorbets and healthy smoothies. You’re in total control with six settings to choose from, including Auto-iQ programmes. Exclusive to Ninja, Auto-iQ® technology does the hard work for you. Pre-set with unique pulse, pause and blend patterns tailored, achieve the consistency you want with a single touch. Simply choose from Smoothie, Frozen Drink or Puree modes, or make things personal with three manual speed settings – High, Low and Pulse – making customised culinary creations as easy as tapping a touchscreen. With a generously-sized 2.1 litre pitcher, there’s room to blend enough to feed you, satisfy your family and even save some for later. Ideal for batch cooking healthy meals, whipping up cocktail party refreshments, preparing post-gym smoothies and so much more. The robust, durable jug is easy to clean and features an easy-pour spout for simple serving. Stacked stainless-steel blades are designed to grab whole fruits and vegetables, the toughest nuts, seeds and even ice, offering consistent results every time. Removable for easy cleaning, the blades are powered by an impressive 1000-watt motor for time-saving results in seconds. Sleek styling means this jug blender looks great in any kitchen. Whether you’re feeding a family, entertaining friends or prepping healthy smoothies and meals, inspiration is included with a recipe guide in the box. 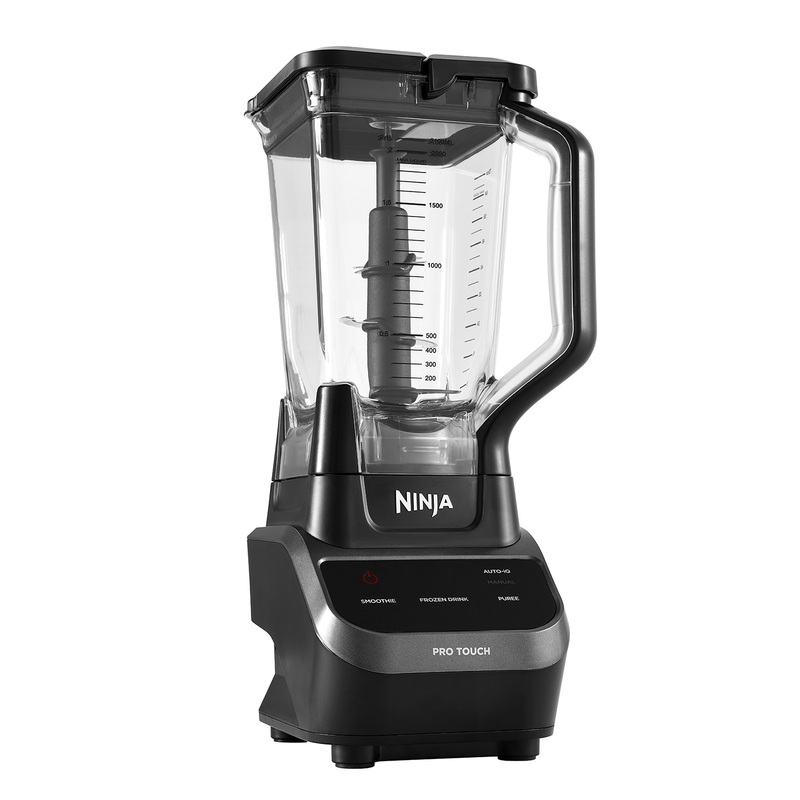 Ninja 1000W Multi-Serve Touchscreen Blender – CT610UK is rated 5.0 out of 5 by 13. Rated 5 out of 5 by Mamathess23 from Great features I think this is the best kitchen gadget i have bought so far. I love it. Its fast and sleek. Rated 5 out of 5 by mulia from Powerful and Easy to use Machine I have been using this blender for over two months and I am very pleased with its performance. It's versatile as I use it for smoothies, to blend vegetables, to make creams and soups. Most importantly, it's easy to use and to clean! While the blender is a durable and powerful machine, what I love the most about it is how sleek it looks! Before discovering this brand, I've never wanted to keep blenders on my kitchen counter. Now that I have the Ninja, I am just happy to have it out for everyone to admire. I really love the modern shape and black colour and the touchscreen smart base. 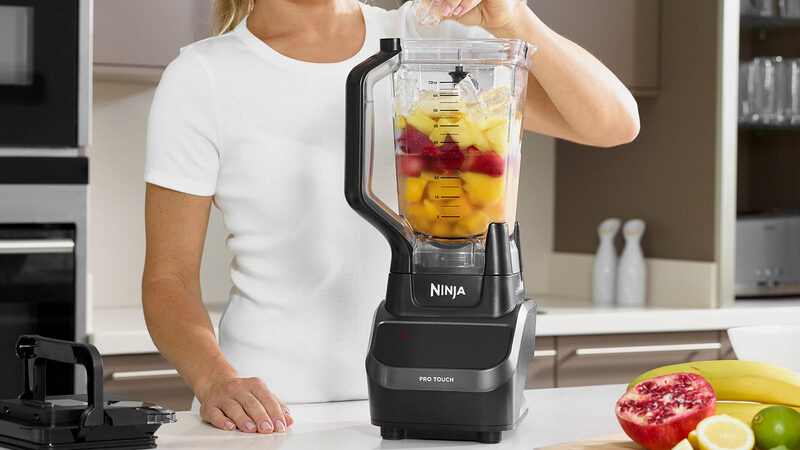 Rated 5 out of 5 by Mo_Dee from Ninja blender This has to be one of my favorite blender to date. It’s modern, I love the touchscreen function and most of all the blender is very powerful; enabling my smoothies to be incredibly smooth. I would definitely recommend this product to anyone on the lookout for a new blender. Worth every penny. Rated 5 out of 5 by Carole P from Great features I received this product a month ago, and I knew just by the quality and it’s modern features, I knew it was going to give me just waist I needed. Rated 5 out of 5 by JasonArmitage from Seriously good blender We were looking for reliable and heavy duty blender to use in a smoothie and protein bar and came across these, And what a surprise these blenders are equally as good as the £500+ "commercial blenders" but give a much smoother consistency to the shake, they're very easy to strip down and clean in seconds and really modern with the touch screen. I would definitely recommend this blender to anyone looking for a high quality piece of kit! Rated 5 out of 5 by Elle from All the features, Simple to use... Having had this for a few weeks now I feel I've had a good chance to test it. The feature I love the most is the pre-set programmes. I'm a huge smoothie fan and have enjoyed making a variety of smoothies in this and testing it out... even with frozen ingredients, smoothies come out perfect and I don't have to control the speed / force of the blender myself. It's easy to use straight out of the box; and it's handy that it doesn't blend until the jug is securely in place. It's also easy to clean; I like to put some water and washing liquid in it and use one of the programmes followed by a quick rinse. It's also super handy (and hygienic) that the blade is removable so you can clean it in it's entirety. 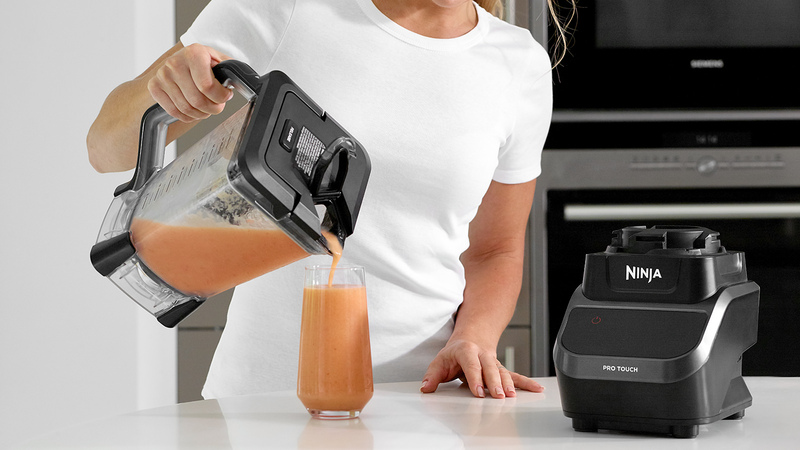 Liquids can be measured in the jug too so saves extra washing up, then just over a minute to blend a smoothie and easy to pour with the nozzle. Last but not least, it's incredible value for money, not too bulky / oversized and weighty enough to be sturdy when in use but easy to move around your space.